Akiolu said Obansanjo had the opportunity to have granted Lagos a special status during his eight years tenure, but he never did it in spite of the pressure mounted on him. 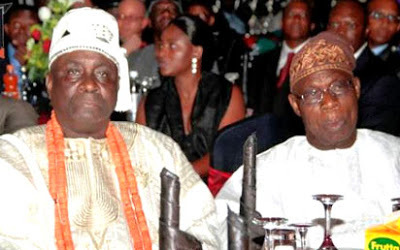 “Obasanjo is the cause of Lagos not getting a special status,” saying he personally led eminent Lagosians to meet him during his tenure to ask for a special status for Lagos.” He said Obasanjo told him and others that he had already drafted the special status plan for Lagos, but lamented that the former president never fulfilled that promise. He further went on to say Yar’Ardua had promised to grant Lagos but for his death. “Yar’Adua had promised to grant Lagos a special status. If Yar’Adua had not died, it would have happened by now,” he said.